You hear a lot about installment loans, but how much do you really know about them? This information is important, since you are highly likely to need this type of loan at one point or another. Here are some basics that you should know, examples of these kinds of loans, and some things you should keep in mind before committing to installment loans Canada companies have to offer. Installment loans are structured to provide financing for something the applicant wishes to buy. Some of these loans are secured, meaning that the debtor must pledge an asset for the duration of the loan. Others are unsecured, meaning no asset is pledged. In all cases, the debtor is assessed some type of interest in return for receiving the financing. The total debt is divided into a series of payments or installments. They are most commonly due on a monthly basis, with an agreed upon due date for each month. Along with interest, the loan terms and conditions may allow the lender to assess other types of fees or charges. While debtors with excellent have no trouble getting financing, there are also installment loans for bad credit that can come in handy. That means if you’ve had some issues in the past, it’s still possible to receive a loan. 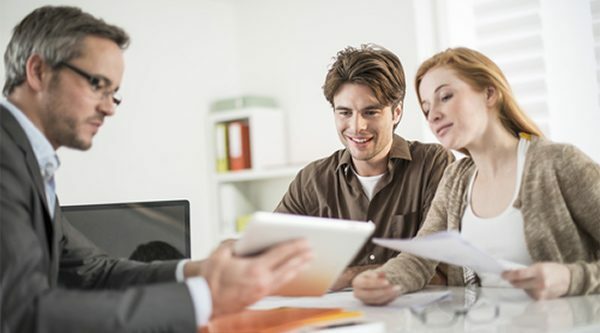 The interest rate and other terms may be higher than average, but you’ll find many lenders who offer installment loans for bad credit in Canada that will work with you when traditional lenders will not. Today, many lenders provide the convenience of applying for installment loans online. The loans may be for specific purposes or they may be general personal loans. Here are a few examples of the more common types of loans that include installment payments. Vehicle loans are definitely structured with installments. You agree to repay a fixed amount each month until the debt is retired. These loans are typically secured, in that the vehicle you purchase is pledged as collateral for the duration of the loan term. Mortgages are another prime example. Few people can afford to buy homes outright. Thanks to the way mortgage loans are structured, you can buy the home and pay for it in monthly installments. The terms may be anywhere from a decade to 30 years. You can even find bad credit loans that will help you finance the purchase of a home if your credit is not the best. Home equity loans are also structured with installment payments. In this scenario, the equity in your home serves as the basis for receiving funding. Lenders will approve amounts that equal a maximum percentage of that equity. You can use the money to make home improvements and increase the value of the property. There are other types of installment loans, including educational loans, medical loans, and debt consolidation loans. It’s up to you to determine if the terms and conditions are acceptable and if you really need the financing. Always look closely at the rate of interest and how it’s applied to your balance. Consider the loan term. If you can manage a shorter term, the savings in interest could be significant. Always make sure the amounts of the installment payments are manageable. Doing so ensures you can make them on time and not damage your credit score. Remember that less than perfect credit does not mean you have to grab the first offer that comes your way. Even among high-risk lenders, there is some competition. Compare the terms associated with different offers for bad credit loans and installments carefully. That will result in locking in the best deal that you can make at the present time. The right bad credit loans and installments have a lot to offer. Choose a lender who reports to the major credit agencies regularly. Positive comments on how you are managing those bad credit installment loans will help increase your score over time. The next time you need financing, it may be possible to lock in a loan with better terms and conditions. When used with wisdom, a loan will improve your financial stability and reputation. In the process, you gain something that you need or want. Never assume that there is no common ground between installment loans and bad credit. The right loan allows you to buy something that you desire, while responsible management of that loan will improve your credit.